Resilient landscapes are also cultural landscapes. SFEI strives to bring the perspectives of non-governmental organizations, governmental agencies, and indigenous peoples into the broader conversation about ecosystem stewardship. SFEI’s pioneering Historical Ecology studies provide a new foundation for understanding the inherent potential in local landscapes, helping identify and prioritize land¬scape restoration and management options. Integrative Geomorphology investigates geomorphic processes in watersheds and tidal environments to help develop resilient landscape management approaches that consider climate change and other key ecosystem drivers. Through Landscape Ecology, we bring advanced spatial analysis to incorporate ecological patterns and processes to landscape designs at multiple scales. Our work in Wetland Science creates tools for designing, tracking, and visualizing changing conditions in our valued aquatic resources. These diverse tools are applied though SFEI’s Center for Resilient Landscapes. The CRL is turning the San Francisco Bay Area into a world leader in utilization of landscape data to help restore and sustain natural ecosystem benefits. The Center brings together new understanding of how California landscapes work with advanced tools to assess and track landscape change in a creative setting that links scientists,resource managers, and the public. Drawing on the diversity and complexity of the native California landscape, we can reshape our neighborhoods, cities, and surrounding lands to be ecologically abundant, resilient landscapes. We recognize that resilient landscapes are ultimately cultural landscapes. We therefore strive to bring the perspec­tives of non-governmental organizations as well as governmental agencies into the broader conversation about ecosys­tem stewardship. We are expanding the Program to include Traditional Ecological Knowledge, especially the natural resource management practices of indigenous people, to further broaden the discussion of what is possible and appropriate to achieve through collaborative landscape design and management. For additional information, please contact Program Director Robin Grossinger, Program Director Letitia Grenier, or Program Manager Ruth Askevold. Historical Ecology synthesizes diverse historical records to learn how habitats were distributed and ecological functions were maintained within the native California landscape. Understanding how streams, wetlands, and woodlands were organized along physical gradients helps scientists and managers develop new strategies for more integrated and functional landscape management. Given the dramatic changes to California landscapes during the past two centuries, we often have only rudimentary understanding of the systems we seek to protect and enhance. In fact, there is a growing recognition that restoration efforts have often misinterpreted earlier conditions, resulting in missed opportunities and, in some cases, failed projects. However, the development of accurate, reliable, and broadly-supported pictures of historical condition and change can help correctly identify the causes of current challenges, and reveal previously unrecognized management options. Historical reconstructions also educate and engage the public imagination, increasing public will for local and regional landscape stewardship. Researchers are increasingly recognizing that restoration and conservation strategies have often been misguided (and unsuccessful) because of a lack of understanding of historical conditions (e.g. Hamilton 1997, Kondolf et al. 2001, Foster and Motzkin 2003, Merritts and Walter 2008). This is particularly true in California, where our cultural memory is short and we have tended to impose concepts appropriate to more humid regions to our Mediterranean and semiarid landscapes (which will become only more so). In fact, the natural climatic diversity of the region provides a framework for understanding the adaptation of local ecosystems across a surprisingly broad climatic gradient. Historical ecology reveals a landscape well-designed for extreme seasonal and interannual climatic variability and controlled by fundamental geologic controls that remain intact -- the "dry side of the ecological palette" that has been largely overlooked in conservation planning. History shows how human efforts have tended to ignore these Mediterranean characteristics and reshaped the landscape according to different, imported conceptions. 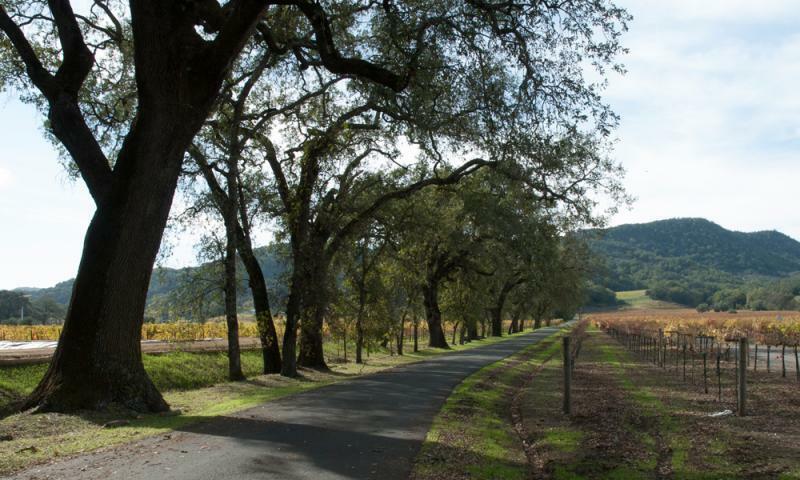 But it also reveals successful early adaptations (e.g., native land management, towns in the shade of oak groves, early dry farming and oyster farming, creeks as "sediment hoses") that can inspire creative, locally-calibrated management strategies. Climate change increases the need to understand and manage ecosystem functions adaptively along broad topographic, hydrological, and climatic gradients within the context of evolving cultural landscapes, rather than focusing on narrow, project-specific targets. SFEI's historical ecology studies have contributed to numerous restoration projects in the Bay Area and coastal California. Projects are carried out in collaboration with local partners and with a team of regional and local science advisers, with results made broadly available through website, publication, and presentation. SFEI's innovative approaches have been featured in New Scientist Magazine, Landscape Journal, The Living Landscape: An Ecological Approach to Landscape Planning, the McGraw-Hill Encyclopedia of Science and Technology, and the Historical Ecology Handbook, as well as general audience science programs such as KQED’s QUEST and the Saving the Bay documentary. Egan, D and EA Howell. 2005. The Historical Ecology Handbook: A Restorationist's Guide to Reference Ecosystems. Island Press. Washington DC. Montgomery, DR, 2008. Dreams of Natural Streams. Science 319(5861):291-292. Sauer , CO. 1930. Historical Geography and the Western Frontier. In Land and Life: A Selection from the Writings of Carl Ortwin Sauer. UC Press 1969. Swetnam, TW, CD Allen, and JL Betancourt. 1999. Applied Historical Ecology: Using the Past to Manage for the Future. Ecological Applications 9(4):1189-1206. 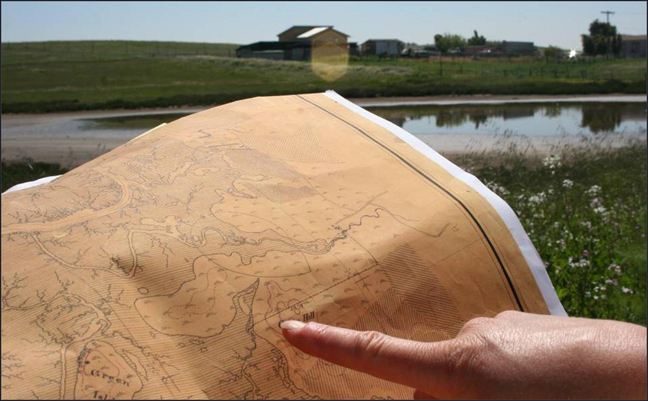 The Wetland Science Focus Area provides scientific and technological support for coordinated, collaborative, cost-effective wetland planning, management, assessment, and reporting across government policies and programs. Working with other Focus Areas at SFEI, and with many outside partners, we help all interests develop place-based goals for wetland protection by developing and implementing tools, such as Historical Ecology, the California Aquatic Resource Inventory (CARI), and the California Rapid Assessment Method for wetlands (CRAM) to understand how the abundance, diversity, and condition of wetlands have changed due to nature and people, and to explore alternative ways to protect and restore wetlands for the future. Wetlands are landscape features with aquatic and terrestrial characteristics. They form the shores of aquatic features, like lakes and rivers and tidal bays, but they also exist by themselves, surrounded entirely by uplands. They have their own unique flora and fauna. In fact, wetland can be identified by indicative plants adapted to saturated soils. There are many kinds of wetlands in the western US with colorful common names: ponds, bogs, fens, swamps, marshes, vernal pools, hog wallows, wet meadows, playas, bottomlands, seeps, springs, swales, and sloughs – just to name a few. They have technical names too: marine, estuarine, palustrine, riverine, depressional, slope, flat. There are many names for wetlands because they take many forms and do many things for people. Some of the common services of wetlands are: water quality improvement, flood control, shoreline protection, groundwater supply, fish and wildlife support, recreation, food production, beautification, and climate moderation. Numerous species of birds and mammals rely on wetlands for food, water, and shelter, especially while migrating and breeding. More than half of the threatened and endangered species rely directly or indirectly on wetlands for their survival. Wetlands can receive, store, and release water, and therefore strongly influence the hydrological cycler and water availability. They improve water quality by intercepting surface runoff and removing or retaining inorganic nutrients, processing organic wastes, and reducing suspended sediments. Wetlands store carbon as organic soil instead of releasing it to the atmosphere as carbon dioxide, a greenhouse gas affecting global climate change. Because of their many valuable services to people, wetlands are protected by federal, state, and local laws and policies intended to reverse historical trends in wetland loss. There are many agencies involved in protecting wetlands by regulating how they are used, providing tax incentives to protect privately owned wetlands, and to acquire wetlands as parks, wildlife refuges, and open space. 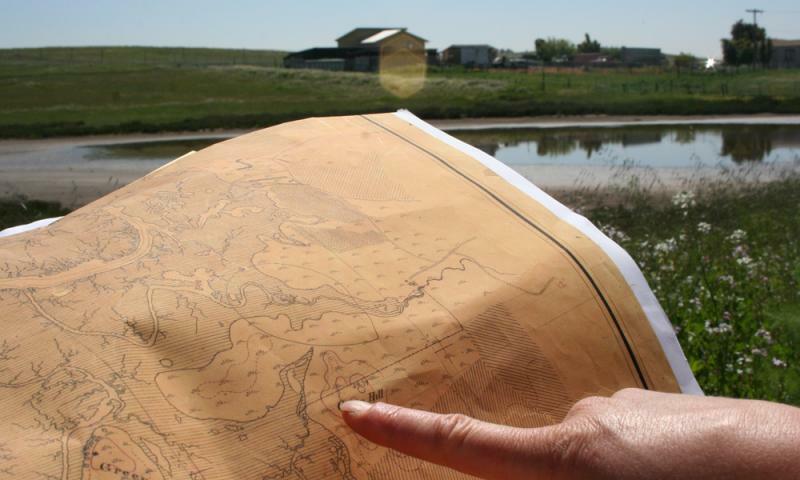 The federal and state agencies most directly responsible for wetlands have recently begun developing watershed approaches to comprehensive wetland protection. SFEI's Wetland Science Focus Area is involved in over a dozen projects that support the California Wetland and Riparian Area Protection Policy, providing science support and technical tools for wetland monitoring, tracking, and reporting on the distribution, abundance and condition of wetlands accross the state. More Information. The Integrative Geomorphology Focus Area investigates geomorphic processes in watersheds and tidal environments to help develop resilient landscape management approaches that consider climate change and other key ecosystem drivers. By working closely with the Hydrology, Landscape Ecology, Watershed Loadings, and Historical Ecology Focus Areas, the Integrative Geomorphology Focus Area provides an understanding of historical and contemporary fluvial and tidal physical processes and landscape evolution at a range of spatial and temporal scales. This understanding is essential for helping mangers determine the magnitude of landscape sensitivity to natural and anthropogenic influences, identify short-term and long-term management priorities, and develop sustainable solutions for key habitat creation and maintenance under projected future conditions. SFEI has received initial funding from the San Francisco-based Seed Fund to establish the Center for Resilient Landscapes. The Center will promote creative and integrative responses to the challenge of climate change by drawing on SFEI’s deep understanding of the diversity, complexity, and functions of California’s native landscapes. What is a “resilient landscape”? An ecologically resilient landscape is able to absorb and accommodate stressors and variability (such as increased temperatures or more frequent floods) while still maintaining its fundamental structure and function – that is, it is able to both persist and adapt in the face of change. In the recent past, California ecosystems were often resilient to these and other stressors. In contrast, many of today’s ecosystems have been highly homogenized and fragmented, making them less resilient and more sensitive to environmental and other perturbations. What is the goal of the Center for Resilient Landscapes? Adaptation to climate change in the 21st century requires redesigning our landscapes as resilient, interconnected systems that have the ability to adapt over time. The diversity and complexity of the native California landscape offers many of the solutions to this challenge, providing a broad palette of strategies for enhancing the ecological function and resilience of our landscapes. Revealed by innovative techniques such as historical ecology, this understanding of how our landscapes functioned in the recent past helps reveal their underlying, often surprising, potential. The Center will use historical ecology, along with other tools, to identify the inherent potential in our existing landscapes and create visions and strategies for achieving that potential. Who is the Center for Resilient Landscapes? The Center will be led by SFEI senior scientist Robin Grossinger, and will draw on SFEI staff from the Resilient Landscapes Program and other programs across the Institute. In addition, the Center will bring together an interdisciplinary group of scientists, engineers, and designers from California and beyond to advise and guide activities. 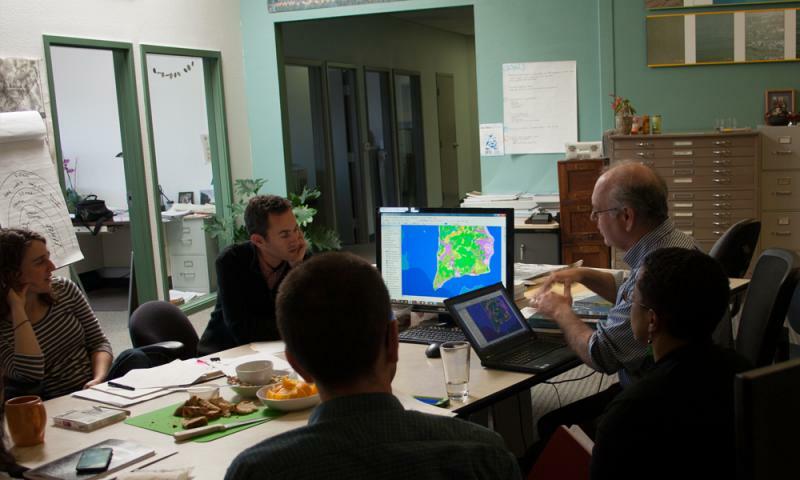 What will the Center for Resilient Landscapes do? We anticipate the Center will lead a variety of research, advisory, and educational activities, such as: guiding restoration design, hosting forums on relevant issues, developing visualization tools to communicate key findings, and publishing research that synthesizes findings across California watersheds. For more information, please contact Robin Grossinger. The San Francisco Estuary Institute comprises over fifty scientists, technologists, and designers who offer a wide range of expertise. Each team member, in her or his own way, helps to define environmental problems, advance public debate about them through sound science, and support consensus-based solutions that improve environmental planning, management, and policy development. California's EcoAtlas provides access to information for effective wetland management. EcoAtlas is a set of tools for generating, assembling, storing, visualizing, sharing, and reporting environmental data and information. The tools can be used individually or together, and they can be adjusted or tuned to meet the specific needs of environmental planners, regulators, managers, scientists, and educators. The maps and tools can be used to create a complete picture of aquatic resources in the landscape by integrating stream and wetland maps, restoration information, and monitoring results with land use, transportation, and other information important to the state’s wetlands. 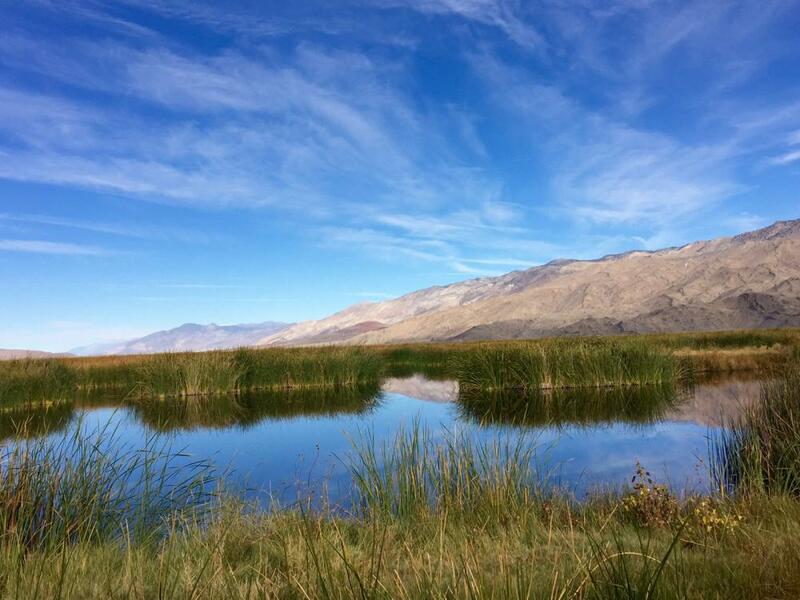 CRAM is a standardized, scientifically defensible rapid assessment method for monitoring the ecological conditions of wetlands throughout California. Because it is standardized, one can compare ecological conditions of wetlands locally, regionally and statewide. Contaminant Data Display and Download Tool or CD3 is an innovative visualization tool for accessing water quality data for the San Francisco Bay-Delta and northern montane regions. It is the primary tool for accessing and downloading the San Francisco Bay Regional Monitoring Program’s (RMP) long-term dataset and other project data stored in SFEI's Regional Data Center (RDC). 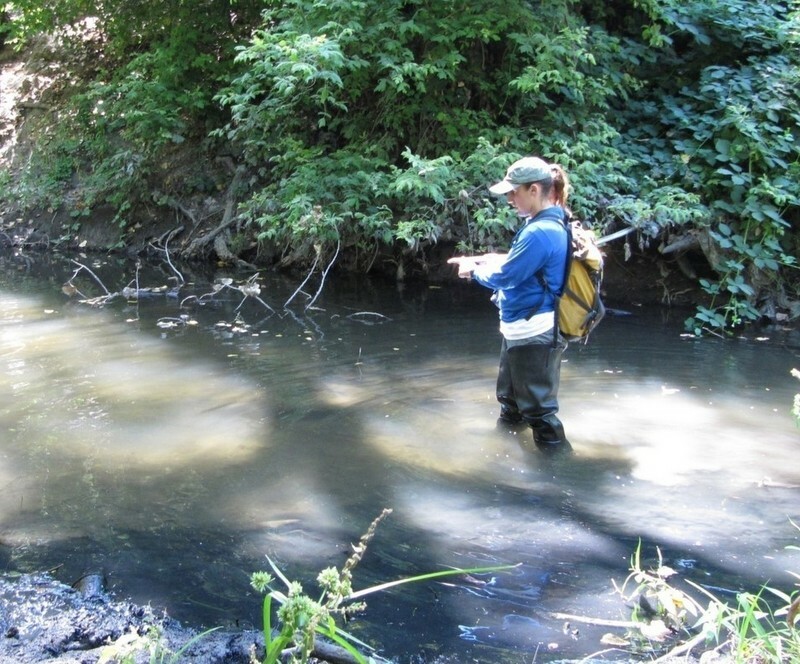 Upper Penitencia Creek, on the eastern side of Santa Clara Valley, has locally significant potential for stream restoration and anadromous fish recovery. The Upper Penitencia Creek Historical Ecology Assessment documents aspects of Upper Penitencia Creek's hydrogeomorphology and riparian ecology prior to major Euro-American modification. It describes the historical (ca. 1850) channel alignment, dry season hydrology, and riparian corridor of the creek as interpreted from early maps, textual records, and photographs. Eelgrass (Zostera marina and Z. pacifica) is recognized as an important ecological resource in nearshore open coast areas, shallow bays, and estuaries throughout coastal California. SFEI and the Santa Clara Valley Water District's Priority D-5 Project are assessing the distribution and abundance of wetlands, and overall ecological condition of streams in five major watersheds in Santa Clara County, CA by employing a watershed based WRAMP aproach that includes prabability-based ambient surveys, BAARI, and CRAM. The Institute has collectively produced more than 1300 reports, articles, and other publications over the course of its 24-year existence. The following list represents those publications associated with this individual program and its focus areas. Robinson A, Richey A, Slotton D, Josh Collins, Davis J. North Bay Mercury Biosentinel Project: 2016 - 2017. 2018 . Report No. : 868. Baumgarten S, Clark E, Dusterhoff S, Grossinger RM, Askevold RA. Petaluma Valley Historical Hydrology and Ecology Study. Richmond, CA: San Francisco Estuary Institute; 2018 . Report No. : 861. McKnight K, Dusterhoff SD, Grossinger RM, Askevold RA. Resilient Landscape Vision for the Calabazas Creek, San Tomas Aquino Creek, and Pond A8 Area: Bayland-Creek Reconnection Opportunities. Richmond, CA: San Francisco Estuary Institute-Aquatic Science Center; 2018 p. 40. Report No. : 870. Richey A, Dusterhoff SD, McKnight K, Salomon M, Hagerty S, Askevold RA, et al.. Resilient Landscape Vision for Upper Penitencia Creek. Richmond, CA: San Francisco Estuary Institute - Aquatic Science Center; 2018 . Report No. : 894. Schoellhamer D, McKee L, Pearce S, Kauhanen P, Salomon M, Dusterhoff S, et al.. Sediment Supply to San Francisco Bay. Richmond, CA: San Francisco Estuary Institute ; 2018 . Report No. : 842. Safran SM, Baumgarten SA, Beller EE, Bram DL, Crooks JA, Dark SJ, et al.. The Historical Ecology of the Tijuana Estuary & River Valley (Restore America's Estuaries 2018 Conference Presentation). 2018. 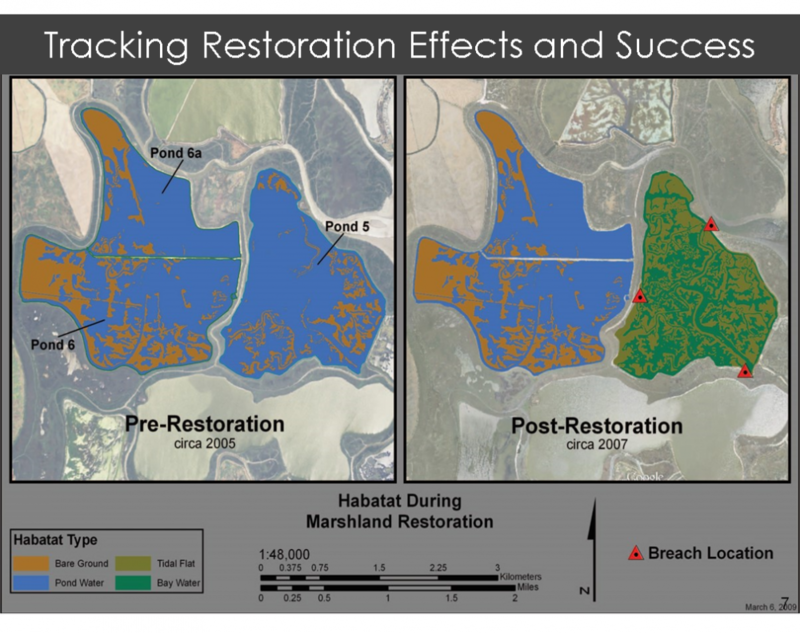 Safran SM, Hagerty S, Robinson A, Grenier L. Translating Science-Based Restoration Strategies into Spatially-Explicit Restoration Opportunities in the Delta (2018 Bay-Delta Science Conference Presentation). 2018. Associates HTHarvey and, San Francisco Estuary Institute (SFEI). Annotated Bibliography for Sycamore Alluvial Woodland Habitat Mapping and Regeneration Studies Project. 2017. Hale T, Grosso C. Applied Aquatic Science: A Business Plan for EcoAtlas. Richmond, CA: San Francisco Estuary Institue; 2017 . Dusterhoff S, Pearce S, McKee LJ ., Doehring C, Beagle J, McKnight K, et al.. Changing Channels: Regional Information for Developing Multi-benefit Flood Control Channels at the Bay Interface. Flood Control 2.0. Richmond, CA: San Francisco Estuary Institute; 2017 . Report No. : 801. Robinson A, Beagle J, Safran SM, McKnight K, Grenier JLetitia, Askevold RA. Delta Landscapes: A Delta Renewed User Guide. 2017 . Report No. : 854. Robinson A, Beagle J, Safran SM, McKnight K, Grenier JLetitia, Askevold RA. Delta Landscapes Executive Summary. 2017 . Report No. : 853. Baumgarten S, Grossinger RM, Beller EE, Trowbridge W, Askevold RA. Historical Ecology and Landscape Change in the Central Laguna de Santa Rosa. Richmond, CA: San Francisco Estuary Institute - Aquatic Science Center; 2017 . Report No. : 820.